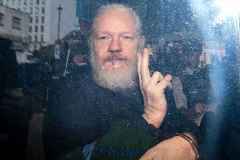 The Furred Umpire, with a little help from the West Indies, decides to liven up proceedings in Grenada by surfing across the pitch as Moeen Ali is run out. 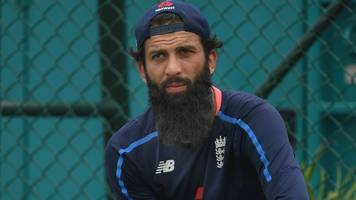 More antics from Ted:..
English cricketer Moeen Ali gives a personal interview after the release of his autobiography which mentions the racial abuse he received during the Ashes series against Australia in 2015. 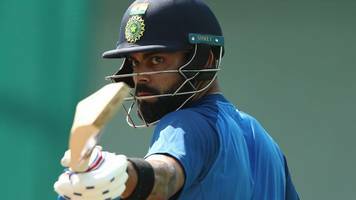 Ali talks..
Ravindra Jadeja delighted with India’s bowling display. 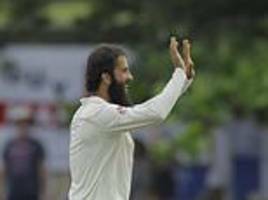 Indian cricketer Ravindra Jadeja was very pleased with India’s bowling display on the first day of the fifth Test. 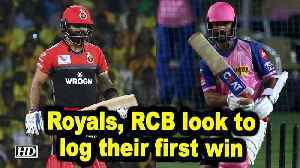 He said,..
Jonny Bairstow and Adil Rashid were the stars as England sealed victory over the West Indies, taking the first Twenty20 by four wickets in St Lucia. 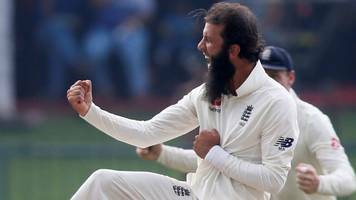 England rested four of their first-choice side after..
West Indies (30-0) trail England (187) by 157 runs: Day two already feels like a moment of truth for this England side - a last chance to seize control of a series that may already be slipping from..
Moeen Ali says England’s players sensed they were on the way to a major collapse in the first innings of their first Test in Barbadoes. Kemar Roach rattled through the England batters to take 5-17 as.. The guys are back for day two of the first Test. It’s been a tough day for England who have struggled up against what seems to be a strong West Indies side. 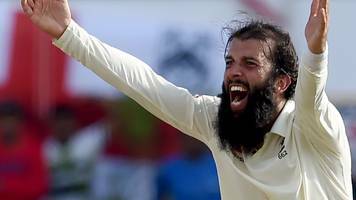 We chat to Moeen Ali to see if the..
West Indian quick Kemar Roach conjured a sensational spell of fast bowling on day two of the first Test, taking five for 17 as the tourists were rolled over for 77. 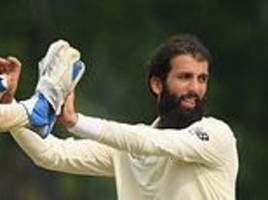 Since his return to the side during the summer, a subtly different Moeen has emerged: one who seems to have ploughed all his mental and physical resources into making himself the very best spinner he..
RICHARD GIBSON IN BARBADOS: Moeen Ali enters the Test series in the Caribbean this week ready to embrace his role as England’s number one spinner. 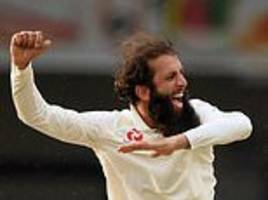 Moeen Ali his worst bowling performance in an England shirt was during the last tour of the West Indies and wants to put that right this time around. 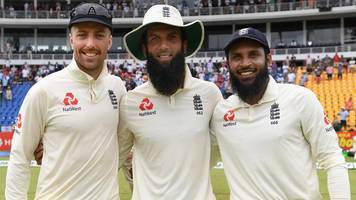 The West Indies turned England over inside three..
Moeen Ali and Adil Rashid resume at the crease looking to enforce England's position on day two of the third Test against Sri Lanka in Colombo. Follow the action with Sportsmail. 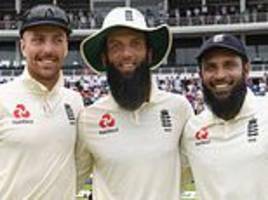 Andy Zaltzman examines how England beat Sri Lanka, highlights individual triumphs and picks four talking points before the third Test. LAWRENCE BOOTH IN KANDY: A jubilant but tired Joe Root praised his spinners after England had completed their first series win in Sri Lanka since 2001. England wrapped up the second Test in Kandy to complete a first series victory in Sri Lanka since 2001. 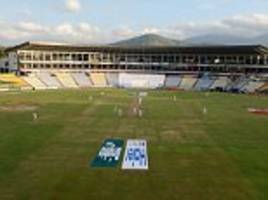 The tourists needed just half-an-hour on the final morning to dismiss Sri Lanka for 243 –..
LAWRENCE BOOTH IN KANDY: England have won their first series in Sri Lanka for 17 years after making short work of the last three wickets on the final morning to win the second Test by 57 runs. Joe Root was given an official reprimand and one demerit point for dissent during the second day of England’s Test against Sri Lanka. 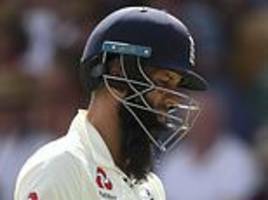 The captain kicked the turf and shook his head after umpire..
England secured a significant victory in their first Test against Sri Lanka, sealing a 211-run win after another barn-storming display from spin-bowler Moeen Ali. 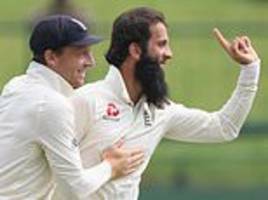 England (342 & 322/6d) defeated Sri Lanka (203 & 250) by 211 runs: England spinners Moeen Ali and Jack Leach took seven wickets after centuries from Ben Foakes and Keaton Jennings set an insuperable.. 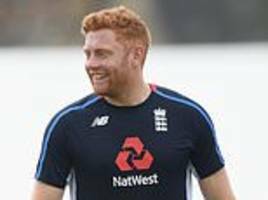 The door was already ajar for Jonny Bairstow to make an instant return in the second Test at Pallekele – but after Moeen Ali's lame dismissal on the third day at Galle, it has swung wide open. 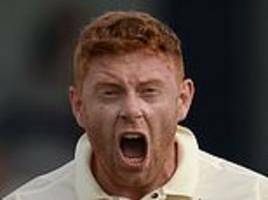 England bowl out Sri Lanka on day two of the first Test to move into a dominant position in Galle. Neil Manthorp and John Etheridge review England’s first warm-up match against a Sri Lanka Board President’s XI. Moeen Ali speaks to Andrew McKenna about the tricky conditions for bowlers and we..
England found themselves in the unusual position of crossing their fingers for more sub-continental spin after their bowling attack struggled to make inroads on the first day of Test preparations in..
Jon Norman and Mark Butcher go downtown for today’s episode of Following On, sampling the delights of the Colombo market to preview the fifth and final ODI. 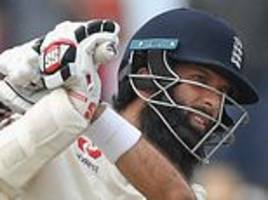 Plus exclusive player interviews with..
Moeen Ali believes he has plenty more to offer with the ball after England sealed a convincing one-day series win in Sri Lanka. Another rain-hit match on Saturday ended in an 18-run victory for the..